The PCI Reading Program supplements to provide additional repetition and practice with the words in the program. These supplements can be used as literacy centers in a classroom. 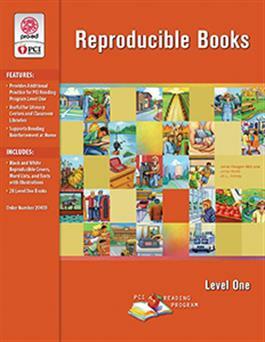 The reproducible books can also be sent home for additional reading practice. The 28 Level One books are available in reproducible format. The reproducible books are identical to the program books, except they are in black and white. Use the books in the classroom or as reading reinforcement activities to send home.